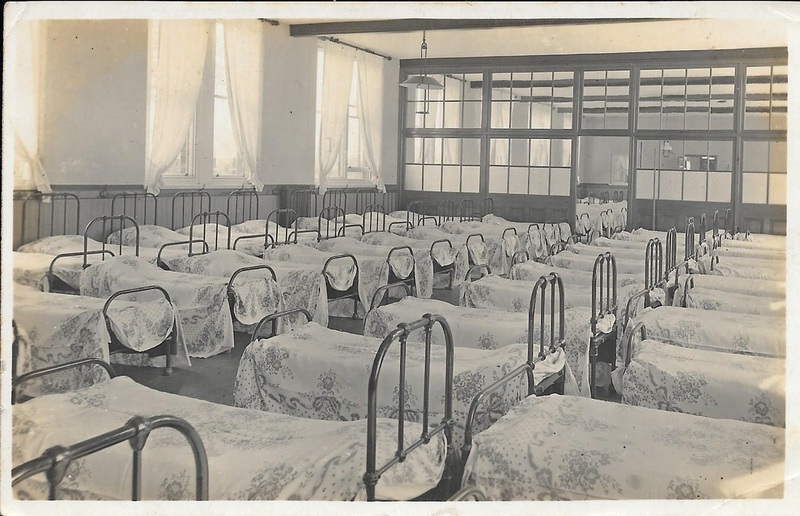 This post card was written on 15th February 1921 to Miss Price in Liverpool by Mrs Maddock of Oak View, Wood Lane, Mobberley who signed herself Blanche. Elizabeth Maddock (a spinster) married Joseph Maddock (a widower) in 1905. 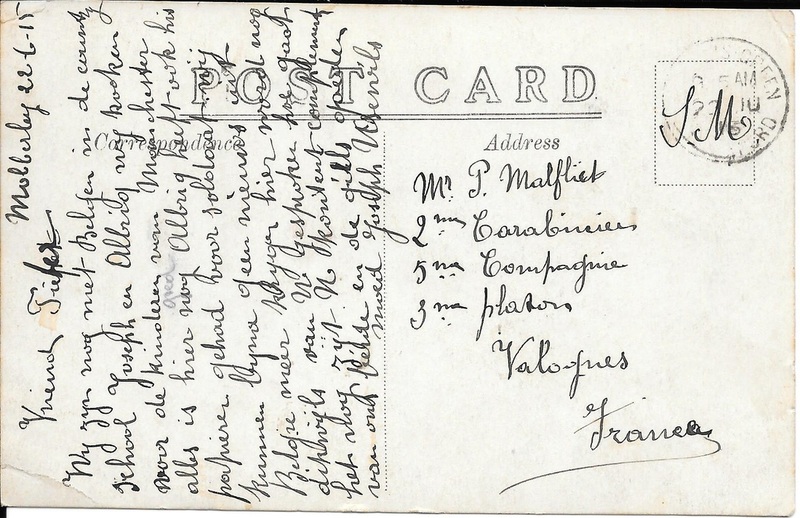 This post card was sent on 27th July 1904 to Miss Frances Lloyd in Dodleston near Chester postmarked Altrincham. It is of the old Rectory in Church Lane. No obvious link to Mobberley beyond the image itself. 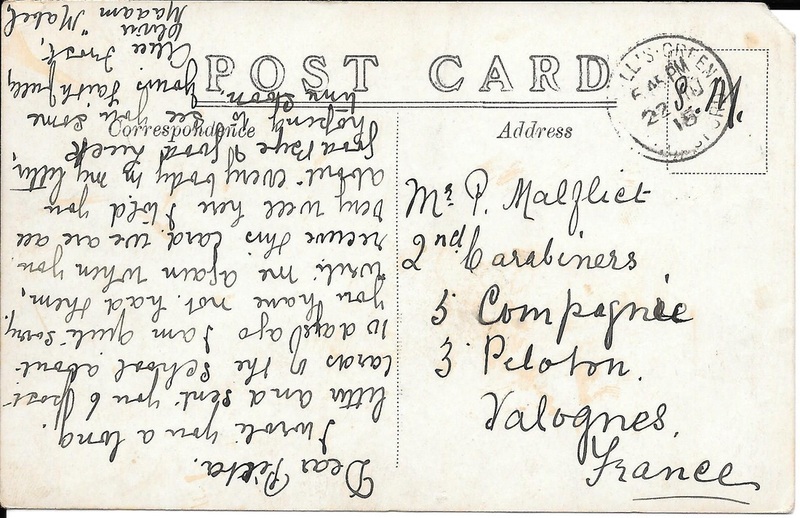 This postcard is passed by the censor, sent from Salonica on 1st October 1918 to a Miss Palin at Tythe Barn Farm on Pepper Street Mobberley. 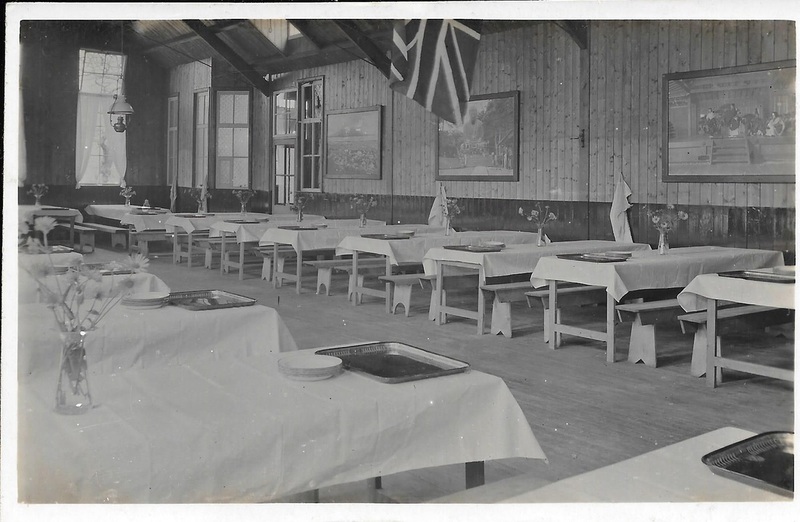 There is no message although there appears to be a pencilled name which may be Gibson at the bottom left. In 1911 the Stockton family were farming at Tythe Barn Farm but in the Kelly's Directory of 1914 a James Palin, Farmer is listed at that address. Presumably Miss Palin was his daughter. There is a James Palin born in Ashley who may have relocated after the 1911 census with his family. This is written to the same address but in English and by three signatories who appear to be Alice and Oliver Frost and Madam Mabel.